Most of the people I know have a very strong liking of sour foods, especially that of vinegars. Here in the Philippines, people often include vinegar in their meals as a kind of sauce where they dip fried dishes such as fried fish, sausages, and even fruits like mangoes. In some of my friends’ houses, you would even find two to three kinds of vinegars because some people have their own favorites and preferences in vinegars. Vinegars somehow add a more interesting taste to foods. However, I prefer tomato ketchups and other sauces because the sour taste of vinegar somewhat makes me shiver down to my spine as if every single cell in my body is at war, exchanging gun shots and throwing explosives at each other. But regardless of my modest dislike of vinegars, there’s one special kind of vinegar that I would like to put in the spotlight, the Apple Cider Vinegar. I overheard from one of the passengers in a public transport I was riding on last night that apple cider vinegar has numerous uses which people could actually benefit from. I continued listening to them and found myself listing some of the benefits on my phone. When I got home, I immediately researched about this vinegar and I caught myself actually enjoying what I was reading. The healing and useful abilities of this vinegar come from its powerful compounds such as potassium, magnesium, probiotics, amino acids, and enzymes. It also contains Acetic acid that acts as a natural antibiotic which kills harmful bacteria in the body as well as stimulates the growth of good bacteria. Polyphenols is also found in apple cider vinegar which, based on some research, prevent heart disease, stroke, osteoporosis, diabetes, neurodegenerative diseases such as Alzheimer’s disease, and the big C—cancer. This makes apple cider vinegar a good and natural booster of our immunity system. Aside from its wonderful impacts to our body internally, apple cider vinegar can also be used as a hair conditioner that makes our hair shinier, a stain remover which can naturally whiten teeth, a toner which gives remedy to skin problems such as eczema and acnes, and a deodorant which kills bacteria and yeast which cause bad body odor. When rubbed on the skin, this vinegar can also remove warts, fungus, and cure skin allergies. I’m sure no one wants to grow and breed these icky things on our skin. If you want to keep yourself clean and unblemished, then you might as well make your home hygienic and insect-free. After all, we spend longer hours in our homes. Apple cider vinegar has strong anti-bacterial properties and balanced pH which makes it a perfectly safe cleaning product. You could even use it to eliminate and repel fleas and other insects inside your house. Multiple benefits in a single product. 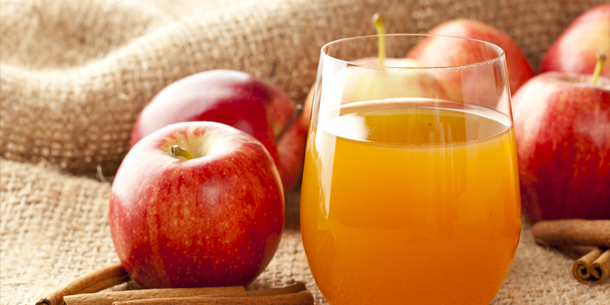 Who wouldn’t say apple cider vinegar is something to be thankful for?